Attorney Michael Avenatti accused Tucker Carlson of fabricating facts regarding his alleged assault on his client, a gay latino immigrant. 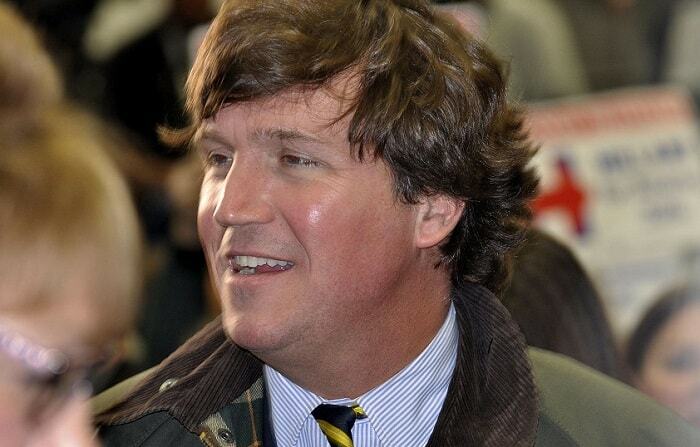 “As a father of two teenage daughters myself, I find it disgraceful that Tucker seeks to justify his behavior by falsely hiding behind his family. #Coward,” Avenatti tweeted. Avenatti is investigating an alleged assault committed by Fox News’ Tucker Carlson and/or members of his inner circle, according to the Hill Reporter. The incident that took place at the Farmington County Club in Virginia last month. Avenatti’s client said he never called any member of Carlson’s family any names. Tucker’s daughter never “returned to the table in tears” as he claims, said Avenatti’s client, who claims that Tucker’s son and Tucker, along with an unidentified “friend,” were the aggressors. “I never threatened any of them. When one views the video, you can clearly see whom is being aggressive. I am seated calmly,” said Avenatti’s client.